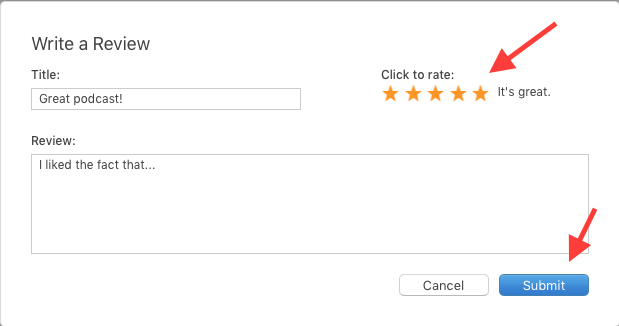 Leaving a Review on iTunes | Flourish and Prosper! I've put together a few screenshots to help you locate the podcast inside of iTunes, leave a review and subscribe to the podcast. Ideally, this should be done on a computer. Click on ThePodcast.us and you'll be taken to the podcast inside of iTunes — you should see something like the image below. Click on "Ratings and Reviews" (where the red arrow is pointing). That will take you to the image below. Provide a short title, the review and give it anywhere from 1 to 5 stars — we love 5 stars of course — and then click the "Submit" button. Last but not least, click on the "Subscribe" button below. A copy of the podcast will be placed on your computer inside iTunes so you can listen to new shows when they come out! 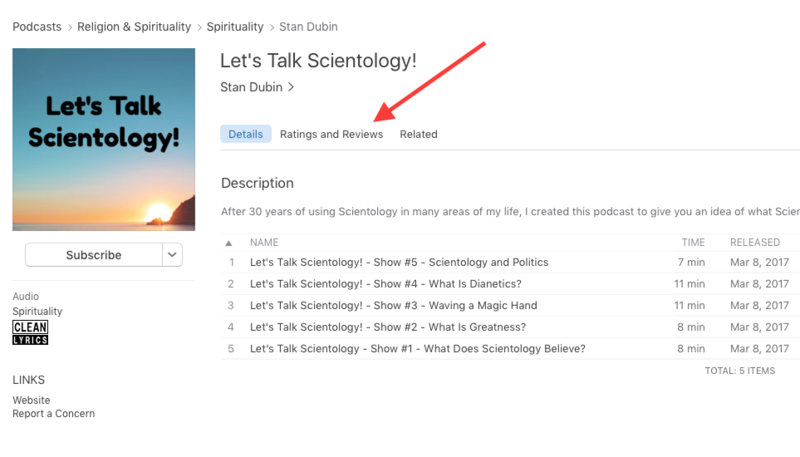 If you're on a smart phone, you would open the podcast app on the phone, click on the search button and then enter "Let's Talk Scientology" into the search field. That should take you to the show and you'll be able to subscribe and leave a review using the phone.